The scholarship winners, for both competitive category and re-enrolment category, for 2016/2017 has already been chosen ! 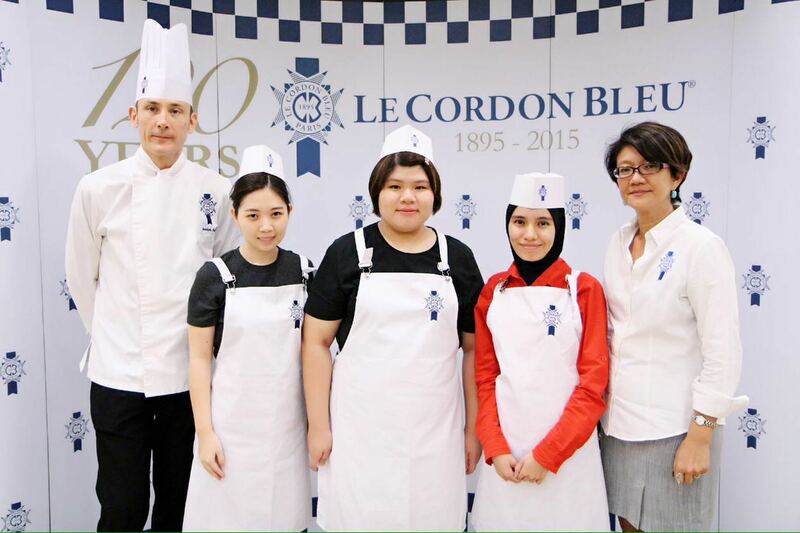 The annual scholarship competition by Le Cordon Bleu Malaysia sees a total of 10 submission this time. 6 applicants shortlisted from their Youtube videos. They were invited for an interview session with Le Cordon Bleu Malaysia General Manager, Ms. Ming Ho, and Technical Director, Chef Rodolphe Onno. A workshop session with Chef Rodolphe Onno in our kitchen was conducted after the interview session for all shortlisted appliants. Aspects such as hygiene, organisation skills were assessed to gauge their suitability as well during the workshop session in the kitchen before finalising the winners. Thereafter the winners were selected upon presentation of the dish, a Quiche Lorraine. For competitive scholarship category, 100% tuition fee waiver winner were Alicia Tan and two (2) 50% tuition fee waiver winner were Amani Liyana and Natalie Wong. For re-enrolment scholarship category, the winner is Jasmine Kung.